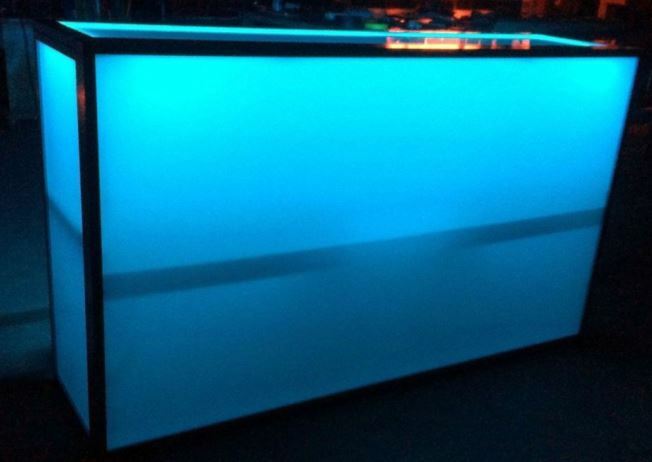 Our LED Glow Bars are opaque white with color changing LED lights. They come in four foot and eight foot lengths. 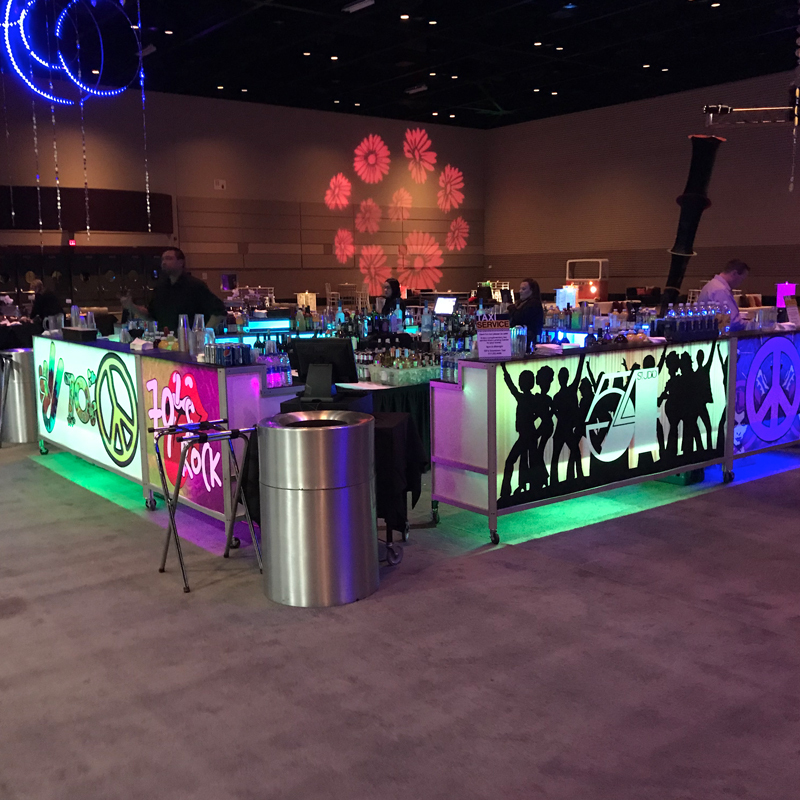 Custom graphics can be applied to the face of the bar to really make it pop.